I just learned of this fantastic show called Destination Truth, which is a bit sad since, well, it’s currently in its fourth season. Bad me. Anyway, the show airs on SyFy and explores a wide variety of myths and legends around the world – from aliens to Bigfoot. But we wouldn’t be here if they didn’t tackle one creature in particular – werewolves! “Led by intrepid world-adventurer Josh Gates, each episode of Destination Truth takes viewers on a trek across the globe as Josh investigates stories of the unexplained. Accompanied by his small crew, Josh dives into the local cultures and searches for clues to the existence of strange creatures and paranormal phenomena. 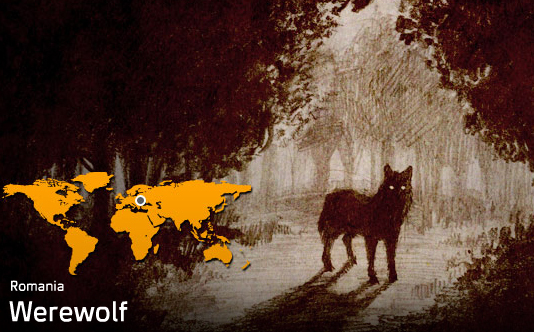 In the third season of the show Josh Gates traveled to Romania to investigate the many werewolf legends heard there. Read the full episode recap here. I still can’t believe I never knew about Destination Truth! This show sounds so amazing! Have any of you seen it? If so, what did you think? Let us know in a comment below. Wonderfully Cheap Werewolf Book Deals!